We’re excited to return to Indianapolis on 4/13 for this ripping night of rock! 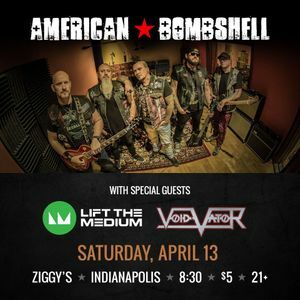 American Bombshell is tearing up the Indy scene with a new album and video and LA’s Void Vator brings their hard edgy sounds to the midwest while on tour. Head to Ziggy's Bar & Grill South as we Lift Indy again!